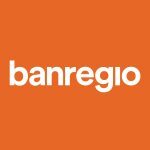 Founded in 1994, BanRegio is positioned as a leading financial institution for SMEs based on its commitment to fostering entrepreneurship and socioeconomic development in Mexico. Today, the publicly traded bank provides a variety of business and working capital loans, leasing, factoring and other offerings via 147 branches in 49 cities across the country. BanRegio has offered credit products specifically for women entrepreneurs via a partnership with Nacional Financiera, the Mexican development bank, for the past several years. Many of these products are collateral free or require a limited guarantee. The bank recently launched its Nexo platform, a non-financial services initiative that serves entrepreneurs – both clients and non-clients – under three pillars: Mentoring, Knowledge and Community. The bank also has a strong internal focus on diversity and inclusion, initiating a support network for female staff, Programa Mujer BanRegio, which offers a space for women to connect, brainstorm and support one another. The bank also has elevated its maternity programs, ensuring working mothers have flexible hours and can work remotely, and offering additional paid maternity and paternity leave. of women in Mexico participated in the labor force as of 2017, the World Bank found. of women in Mexico had an account at a formal financial institution as of 2017, Findex found. of women in Mexico saved at a formal financial institution in 2017, but nearly 1/3 of all women said they saved some money that year, Findex found. of women borrowed any money from a financial institution in 2017, according to Findex, but 29% took out a loan that year.